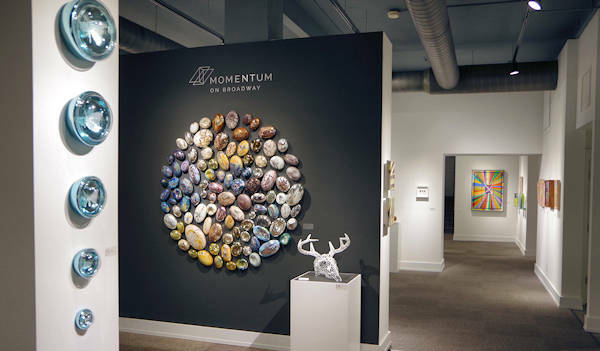 Since opening in late 2017, Momentum Gallery in downtown Asheville has quickly become a must-stop for lovers of contemporary art. Find them at 24 North Lexington with a second location at 52 Broadway opening later in 2019. 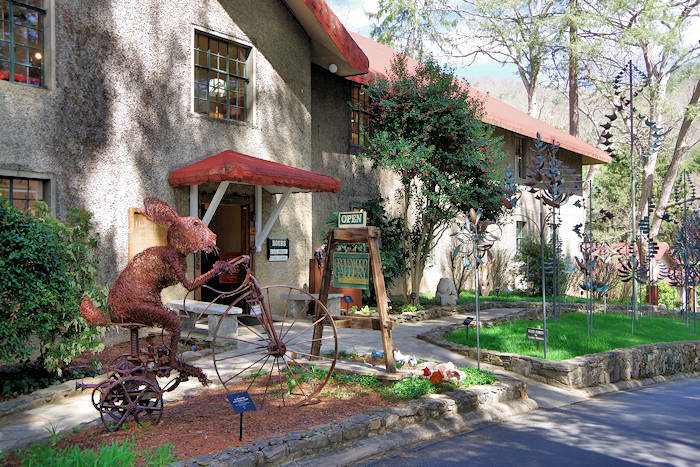 With a mix of regional and national artists, find many influences of our mountain scenery in the amazing creations. While you'll find museum-quality art seen in the big cities, you won't find the snooty attitude. Casual browsers are welcome! 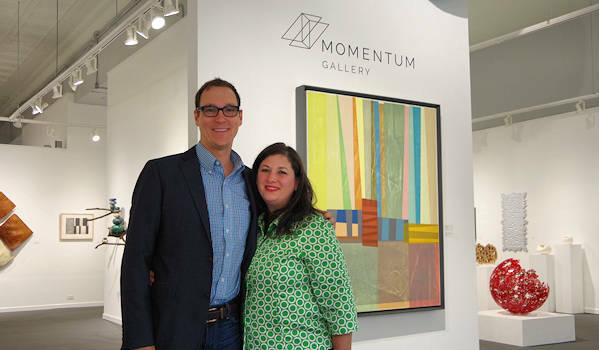 Longtime art art aficionado Jordan Ahlers and his partner / wife Shifra love to meet art lovers and collectors - including the beginner with a smaller budget. With more than 20 years experience as gallery director, curator, art consultant, and graphic designer, Jordan attracts buyers from across the country. He is also sought out by the top emerging and mid-career artists for representation. 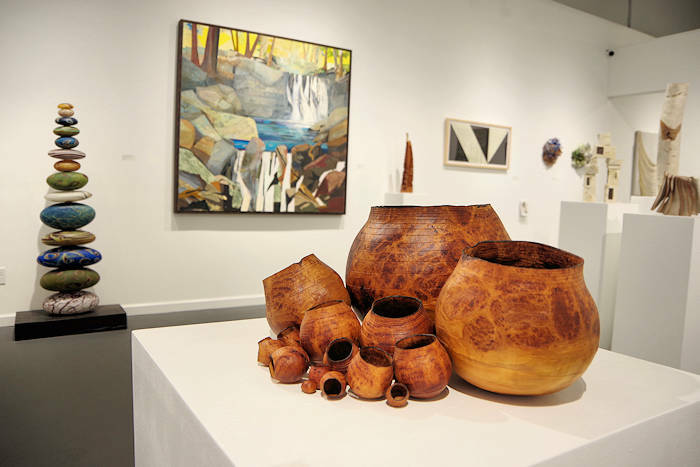 Find works from many Penland School of Crafts artists here. Curated exhibitions featuring exceptional paintings, original prints, and innovative sculpture change on a regular basis. Also look for special events including openings and hands-on activities. Since the gallery as been such a big hit, it will gradually move to the bigger space at 52 Broadway that will be four times the current size! 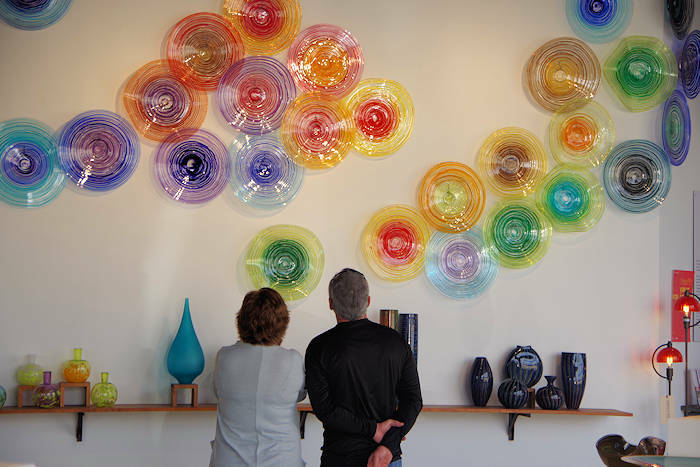 First Friday Art Walks: Stop by special happenings on each first Friday, 5-8 PM, April-December with 24 galleries, studios and museums downtown. Hours: They are open every day: Monday-Saturday 10 AM-6 PM & Sunday 12-5 PM. Addresses: 24 North Lexington Avenue, Asheville. Go to their Web site. Go to their Web site to see samples of the art.